The North-East has long been a stronghold for writers and poets, home to many of the country's most active small presses, Flambard, Mslexia, IRON and of course Bloodaxe, formerly home to the nation's largest literary award (from The Northern Rock Foundation), and home also to a whole host of talented poets either born there or attracted there by the region's active literary scene. This extensive anthology features the work of more than 40 poets resident in the North-East. It takes as its start date the death of the great North-East poet Basil Bunting in l977, and collects together all poets who since that time have published at least two full collections of verse. Among the poets featured in these pages are: Tony Harrison, Sean O'Brien, W.N. Herbert, Linda France, Gillian Allnutt, Anne Stevenson, Alistair Elliot, Barry MacSweeney, Neil Astley, and Katrina Porteous. 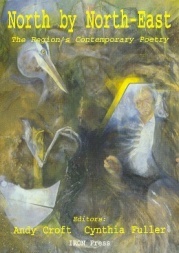 As befits such a selection, the poetry covers an extensive range of styles and subject matters. Some poets' work is firmly rooted in the region, while others' is political and wide-ranging. The book is edited by two of the region's leading poets, Andy Croft and Cynthia Fuller, who write an incisive introduction about the North-East's poetry culture.